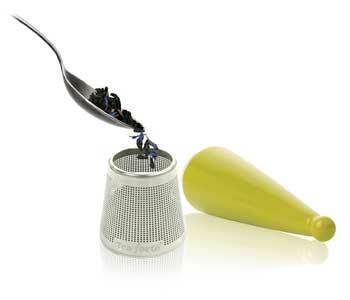 An easy to use loose leaf tea infuser that is perfect for brewing in a cup, mug or small teapot. 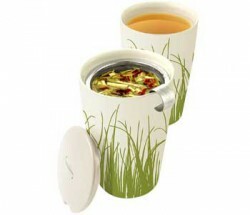 Just add loose tea to the stainless steel base, twist on the colorful ceramic top and steep. 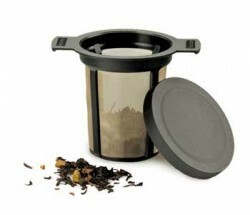 An easy to use loose leaf tea infuser that is perfect for brewing in a cup, mug or small teapot. Just add loose tea to the stainless steel base, twist on the colorful ceramic top and steep. After steeping, place the infuser on the accompanying tea tray to capture the drips and save your tea for re-steeping. Available in Celery Green.